Keep your baby warm and cozy on cold days with the Peg Perego Igloo. 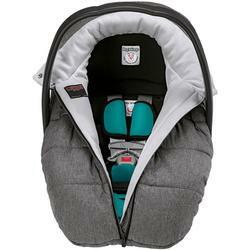 The Igloo was specifically made to fit over the Primo Viaggio 4-35 car seat. It provides a weather-proof outside layer and a warm inner layer made of Thermore, to help regulate babys temperature and protect them from harsh outside temperatures.